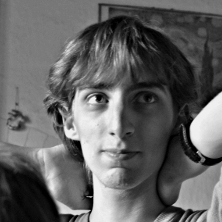 Simone Marullo, currently student of Computer and Automation Engineering Master Degree at University of Siena, has been awarded with the “Pietro Torasso” prize from the Italian Association for Artificial Intelligence (AI*IA). Popularize Artificial intelligence 2018 – Pietro Torasso Prize was meant to remember Prof. Torasso by encouraging scientific outreach of AI techniques by students. The committee awarded the DeepHarvest contribution because of the clarity of the explanation to non specialists and the insightful narration of the scientific experience.